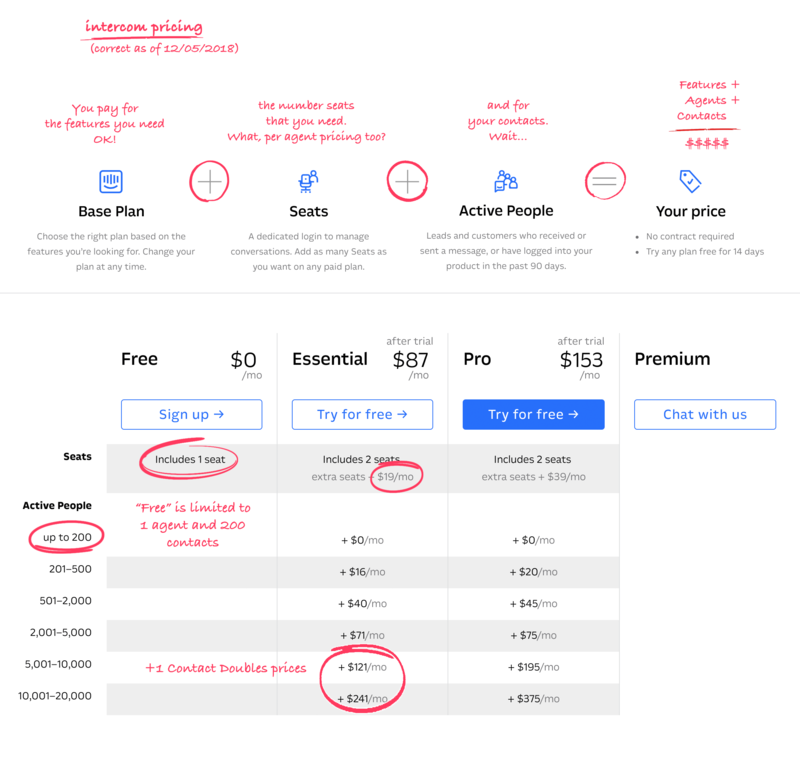 TLDR: Intercom couldn't decide which industry pricing model they liked best, so they chose all three. Why choose Chatify over Intercom? Intercom bundles features into 'plans'. Key features are only available in their more expensive plans. With Chatify all our plans enjoy the same access to our core features, which includes our FREE plan. Intercom also uses 'per-agent' pricing. This means that the bigger your team, the more you pay. For our paid account types, pricing is based on conversations so that you can have your entire team on Chatfiy, without incurring additional costs. Unbelievably, Intercom also uses ‘per-contact' pricing. This means that even random chat messages increase your Intercom monthly bill for a minimum of three months. Intercom started as a tool for developers to send messages to users. Hence the name 'Intercom' (a broadcast tool), per contact pricing, etc. Intercom was not designed for chat but rather its been re-engineered to support chat. This is why you see anomalies in their Pricing (plans, agents, contacts) and Product (ex. moving conversations to email / lead quality / etc.). Like the name 'Chatify' suggests, it's been designed from the get go for chat. It's simple to use, includes all the features you need and is available for Web, Desktop and Mobile. Intercom's pricing model kills its potential to be an effective team based customer support tool. When you charge per seat, only those directly involved in customer support, get a seat. Technical Support from Intercom is only available on their Premium level plan. So if you need any technical support on their Pro, Essential or Free plans, you're on your own. Its very different in Chatify. We pride ourselves on providing excellent customer support, technical or otherwise. Live Support is available on all our plans, including our free plan.